Joseph Barton is an associate in the Government Contracts, Investigations & International Trade Practice Group in the firm's Los Angeles office. Joseph practice consists primarily of representing aerospace, healthcare, entertainment, and online media companies in federal criminal prosecutions and civil False Claims Act cases. The subject matter of Joseph cases has included falsification of quality inspections and test data, kickbacks and other forms of bribery, labor mischarging, misallocation of costs, misuse of funds, mortgage fraud, narcotics tampering, backdating, and up-coding and un-bundling. In defending these cases, Joseph has interacted with various federal agencies, including the Air Force Office of Special Investigations, Army Criminal Investigative Command, Defense Criminal Investigative Service, Federal Bureau of Investigation, Food and Drug Administration Office of Criminal Investigations, Internal Revenue Service, Department of Agriculture Foreign Agricultural Service, and Department of Housing and Urban Development. Joseph has conducted over 825 witness interviews and made multiple evidentiary presentations to the United States Attorney’s Office to resolve cases on favorable terms. Joseph also represents companies in disability access and trade secret cases in both federal and state court. Joseph disabled access experience has included shopping malls, hotels, and restaurants. Joseph secured one of the first verdicts in California to find that a plaintiff was not a bona fide customer of the fast food chain he sued and therefore was not entitled to relief. Joseph trade secret experience has included aerospace, telecommunications, and food products. Joseph recently obtained dismissal with prejudice of a complaint seeking millions of dollars in damages for the alleged misappropriation of frozen fried rice recipes and successfully defended the dismissal through appeal. Following the appeal, Joseph won a motion for attorney’s fees against the plaintiff for the plaintiff’s maintenance of a bad faith trade secret action. The is one of only a handful of California trade secret cases over the past 10 years wherein defense counsel has been awarded such fees. Outside the litigation context, Joseph advises federal, state, and local government contractors in contract negotiations, bid protests, and mergers and acquisitions. Joseph also performs Anti-Money Laundering and Foreign Corrupt Practices Act due diligence, implements compliance programs, and conducts employee trainings for companies. 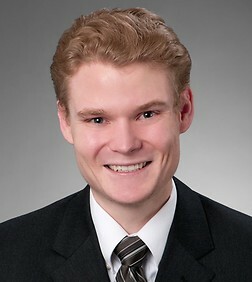 Joseph is a member of the firm’s recruiting committee and actively performs pro bono work for the firm. Joseph most recent pro bono projects involved composing a manual of civil tort remedies for domestic violence victims and litigating a disabled access case against the New York Transit Authority concerning the maintenance of elevators in subway stations. Joseph honors include the firm’s inaugural “Bob Williams” award. This award is named after the firm’s long-time hiring partner and is given to associates who have done exceptional work for both the firm community and the community at-large. Such work may include volunteer work, community leadership positions, extraordinary pro bono cases, diversity & inclusion initiatives, and mentoring other associates. Joseph was selected after a three-month review process of the firm’s more than 500 associates worldwide. Sheppard, Mullin, Richter & Hampton LLP Annual Government Contracts Practice Group Retreat, Marijuana Update, October 27, 2018. FinTech Silicon Valley, Marijuana Panel, May 8, 2018.